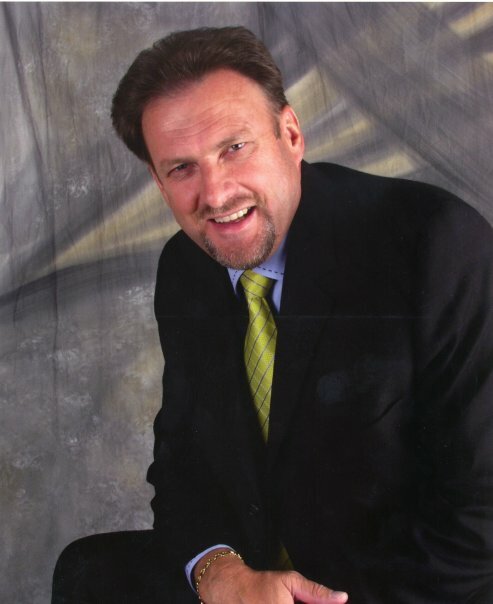 André van Zyl, a native of South Africa who has been in full-time ministry for over thirty years now, is presently headquartered in Georgia as the Lord uses him greatly across the continental United States. God has given André a very strong prophetic word to the Church, and his ministry is accompanied by miracles, deliverances, healings, signs and wonders. In addition to world-wide travel to various countries, including Australia, Hong Kong, India, New Zealand, Suriname, Sweden and Scotland, André continues to minister in South Africa on a regular basis. Over time, André has become a father to many pastors and leaders in the Kingdom of God. He currently serves on several Apostolic councils that oversee networks of ministers. He is also president of an alliance of Christian leaders and churches known as Kingdom Alliance. More than 2,500 churches are represented in these networks. Pastor Andre, Listened tour message about in His presence a couple of days ago and how David danced when he brought the Ark back. Wonderful. Then i caught this piece and thought you would be blessed by it. On this fourth Sunday of Advent, which precedes the birth of the Lord, the Gospel narrates Mary’s visit to her relative Elizabeth. This is not merely a polite gesture but, with great simplicity, depicts the meeting between the Old and the New Testament. The 2 women, both pregnant, in fact incarnate expectation and the One expected. The older Elizabeth symbolizes Israel, who awaits the Messiah, while the younger Mary bears the fulfillment of this expectation to the benefit of all humanity. In the 2 women we meet and recognize first of all the fruit of their wombs, John and Christ. The Christian poet Prudentius comments: “The child in the old womb greets, through his mother’s mouth, the Lord, son of the Virgin” (Apotheosis, 590: PL 59, 970). The elation of John in Elizabeth’s womb is the sign of the end of the waiting: God is about to visit his people. At the Annunciation the archangel Gabriel spoke to Mary about Elizabeth’s pregnancy (cf. Luke 1:36) as a proof of God’s power: sterility, besides the advanced age, was transformed into fertility. Elizabeth, welcoming Mary, recognizes that God’s promise to humanity is being realized and exclaims: “Blessed are you among women and blessed is the fruit of your womb! How is it that the mother of my Lord should come to me?” (Luke 1:42-43). The expression “blessed are you among women” is used in the Old Testament of Jael (Judges 5:24) and Judith (Judith 13:1), 2 women warriors who strive to save Israel. Now however, it is said of Mary, a peaceful young woman who is about to give birth to the Savior of the world. Thus, also John’s leap for joy (cf. Luke 1:44) recalls David’s dance when he accompanied the entrance of the Ark of the Covenant into Jerusalem (cf. 1 Chronicles 15:29). The Ark, which contained the tablets of the Law, the manna and Aaron’s staff (cf. Hebrews 9:4), it was the sign of God’s presence among the people. The soon-to-be-born John exults with joy before Mary,the Ark of the New Covenant, who bears Jesus in her womb, the Son of God made man. The scene of the Visitation also expresses the beauty of hospitality: where there is mutual welcome, listening, making room for the other, God is present with the joy that comes from him. Let us imitate Mary in the Christmas season, visiting those who are in difficulty, especially the sick, prisoners, the elderly and children. And let us also imitate Elizabeth who welcomes the guest as God himself: unless we desire him we will never know the Lord, unless we expect him, we will never meet him, unless we seek him, we will never find him. With the same joy as Mary, who hastens to Elizabeth (cf. Luke 1:39), we too go out to meet the Lord who comes. Let us pray that all men seek God, that it is God himself who first comes to visit us. Let us entrust our heart to Mary, the Ark of the New and Eternal Covenant, that she might make it worthy to welcome the visit of God in the mystery of Christmas. I greet all the English-speaking visitors and pilgrims present at this Angelus prayer. Today, as we approach the Solemnity of our Lord’s Birth among us, let us strive again to make room in our hearts to welcome the Christ child with love and humility before such a great gift from on high. In anticipation, let me already wish you and your families a holy and peaceful Christmas! Pastor Andre, God has spoke to my spirit in such a way I find myself overwelmed. I have known from childhood that I was called but became rebellious and more confident in myself than Christ. I am now 40 and through many trials and dangerous paths Christ brought me back to bethel where I have been seeking the fullness of God. I believe the Holy Spirit revealed to me that faith is the evidence of the transforming power of the image of God. The reward is the promise. The proof is the limp. Through all, I find my faith tried and tested. I can’t help but feel that the image of God has become defiled to the point that he can not recognize himself. We mingle beliefs and religion, we excuse offensive behaviors and the fear of God has become nothing more than a mediocre respect. We have humanized the image of God giving a gender, a race, and features. It seems easier to diminish the divinity than to live in the expectations that is required. In ourselves we can not do this but through Christ we can do all things. It is in the likenesses of God we were created. It is through Christ we bear the image of God. Empowered by the power of the Spirit of God. I continue to seek God with all that is in me. I ask for prayer that God would bring mentors, teachers, and advisors into my life as I desire to learn.